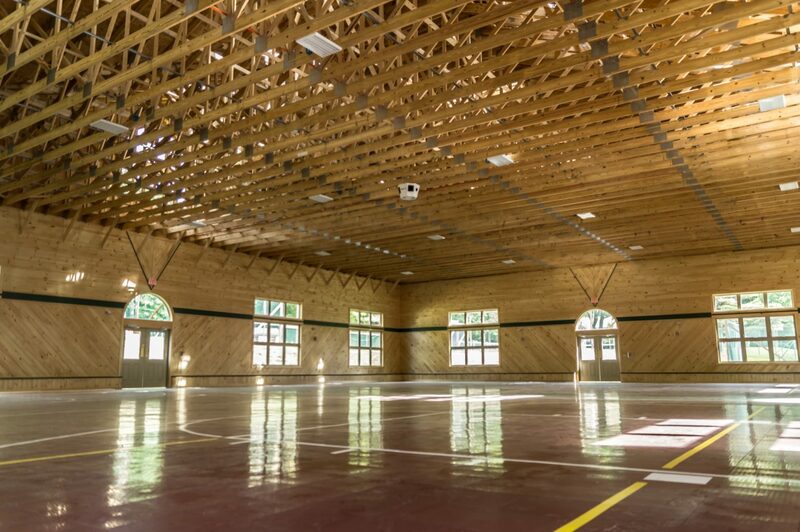 This 7000 sq ft fieldhouse is a multipurpose building. Used for sports like basketball and volleyball, as well as performing arts and other special events. The beautiful indoor space is ideal for everyone to gather and play!